A prince and princess from distant lands are destined to marry but must face many dangers and overcome trickery before they can finally be wed. Robbers, trolls, wild beasts, and more all feature in this delightful retelling of the classic Danish fairy tale. Does your child struggle to fall asleep easily? Then this story about an adventure in space might be just the thing they need to help them fall asleep themselves. Your child will take a journey in their imagination, far up into the night sky, and into outer space itself. 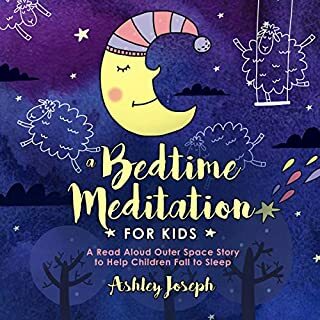 If your child loves space stories or fun adventures, they'll love this bedtime meditation - and you'll love it, as the the story can help them relax and get ready for sleep. Does your child love listening to Bible stories? Perhaps they find them little dull and predictable? 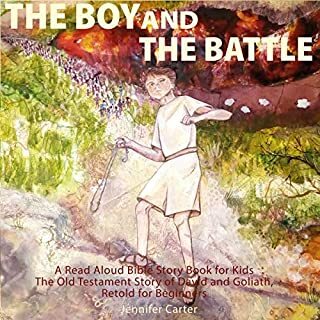 The Boy and the Battle is a re-imagining of the epic battle between the boy David and the giant, Goliath. When listening to this story, children will be able to picture the scene, perhaps imagine themselves as David and understand that this is a real story, about a real child, just like them. You are the most important person in your life. 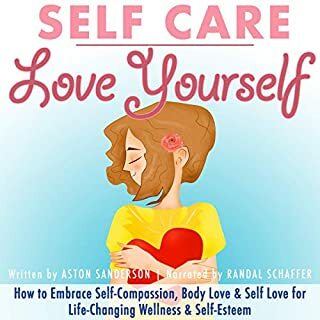 Treat yourself to Self Care: Love Yourself because you deserve it. You can start your journey to healthier body love, wellness, and self-esteem right now. 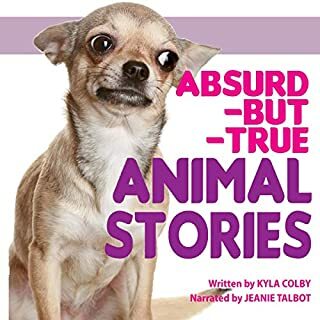 This collection features more than 15 cute, newsy, and fun animal stories! Fairy Story Shorts offer beautiful retellings of traditional tales, and are especially suitable for playing for children at bedtime! This tale is taken from the collection Fairy Stories & Fairy Stories: Traditional Tales for Children, Contemporary Tales for Adults by Clive Johnson. I highly recommend for children of all ages. A richly embroidered retelling of the classic tale from One Thousand and One Nights, imaginatively described for children. Fairy Story Shorts offer beautiful retellings of traditional tales, and are especially suitable for telling to children at bedtime! This tale is taken from the collection Fairy Stories & Fairy Stories, Traditional Tales for Children, Contemporary Tales for Adults by Clive Johnson, also published by Labyrinthe Press and available as an Audible audiobook. An asteroid parks on Earth's orbit, and Alex Jones is sent to collect samples and figure it out. But the passenger is chatty, and his revelations are mind-blowing. "The Three Little Pigs" is a very funny and famous fairytale featuring anthropomorphic pigs who build three houses of different materials. The story begins with the title characters being sent out into the world by their mother, to "seek out their fortune". The first little pig builds a house of straw, but a wolf blows it down and eats him. The second pig builds a house of furze sticks, which the wolf also blows down and eats him. Each exchange between wolf and pig features ringing proverbial phrases, namely: "Little pig, little Pig, let me come in." "No, no, not by the hair on my chinny chin chin." "Then I'll huff, and I'll puff, and I'll blow your house in." The third pig builds a house of bricks. This little pig is very smart, and the end is a big surprise for everyone. Just right for my granddaughter who doesn't stay interested in anything for very long. 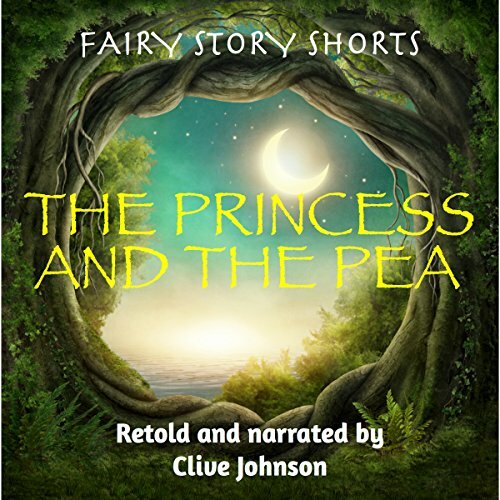 This is a great fairy princess story about a girl who proved to be a real princess. Young ladies of all ages will enjoy this book. The narration is also very well done. I was given a free copy of this book at my request and have voluntarily decided to leave this review. Disclaimer: I received a free copy in exchange for an honest review. It’s the classic story you know and love. The narration felt like a story being told to you by a loving uncle with an accent. Great for a short, relaxing listen or for young children. Short, sweet and to the point without unnecessary embellishment. Your kids will enjoy listening to it over and over again. My one complaint was the sound quality was just not quite up to par. Everything was easily understandable and it won't detract much. Listen to the sample and you'll see what I mean. This was a sweet little story perfect for bedtime. There's enough story here to capture the imagination of your little one, and plenty of room to embellish further. I enjoyed the narration, he had the perfect accent for the story and the recording was well done. I requested a copy of the audiobook, and I'm voluntarily leaving a review. This is a story you really need to hear again as an adult. While my daughters felt like they were learning the arcane secret to how to discover a real princess, all I could hear was: here is a person so high maintenance that a pea under 20 mattresses distresses her unto sleeplessness -- could you imagine being married to such a nightmare? What a nice re-telling of a classic story, wonderfully narrated. Kids will LOVE it, and I definitely recommend it to anyone looking for a nice, short, well-done story. Now I am all for girl power, but the all-female future where men have no place is a bit unsettling. Maybe some kind of balance can be struck? This is the classic tale retold. It's only six minutes long so just right for a bedtime listen. The narration sounded as if Clive Johnson was reading the tale in a large tunnel taking away from the story a bit. Kids loved it enough said! Really can't go wrong when the kids loved it and asked for more in the end. Wish it was longer, but they listened a few times so that works for me! Narrator was fantastic btw. Recieved this book in exchange for an honest review. I received a free copy of this book to review it. I decided to listen to it with my daughter in the car on our way to school. She loved it. Looking forward to listening more of this author. Update: We had a chance to listen to some of this author's books and they are phenomenal. We listened to the sleeping beauty and Aladdin and the wonderful lamp. For some reason my kids love to listen to them in the car and when they are getting ready to go to bed. I will be reviewing these books separately. I would totally recommend parents to listen to Clive Johnson's books.